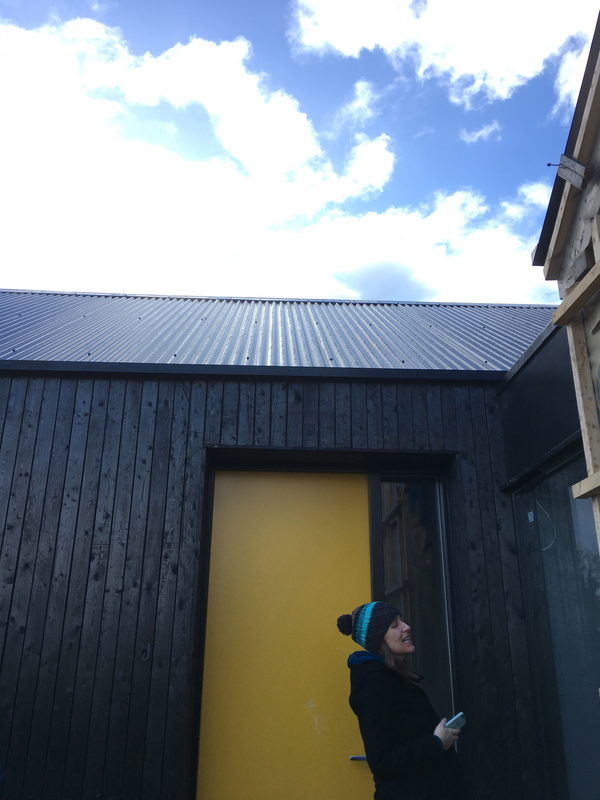 It was wonderful visiting this project on site last week. 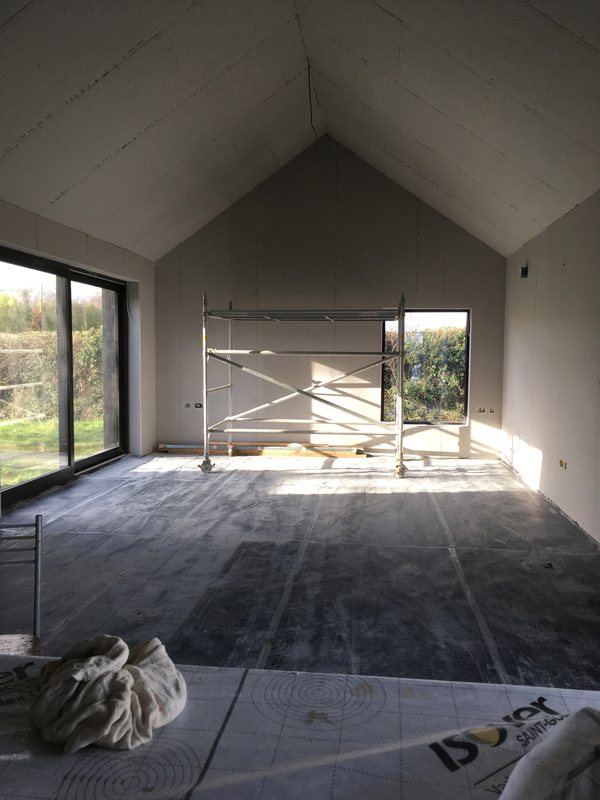 It’s a blackened timber house in Co. Meath, mid-build. 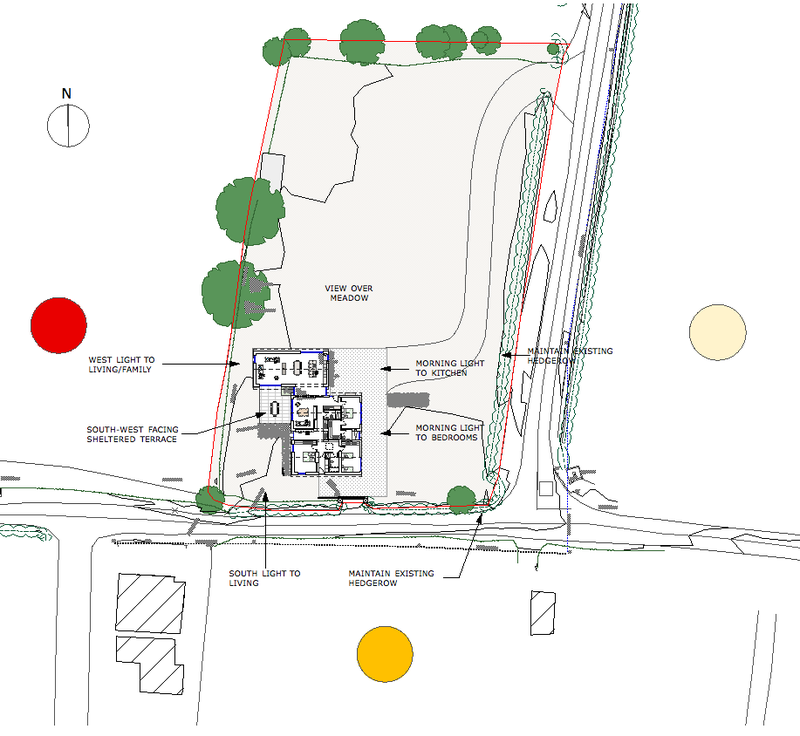 It involves the transformation and extension of an existing bungalow in the Irish landscape. The brief called for a spacious, light-filled home for a young family, with strong connections to the site. We use simple vernacular references – 3 long and narrow A-framed volumes, joined delicately with glazed links. The stepped formation of the volumes creates more intimate external spaces on the large site. A sheltered entrance space, and a south-west facing courtyard onto which the living spaces open. The site analysis informed how the volumes should be distributed on the site. The section through the dwelling shows how the plan has been broken up into volumes that reference vernacular buildings found in the Irish landscape. 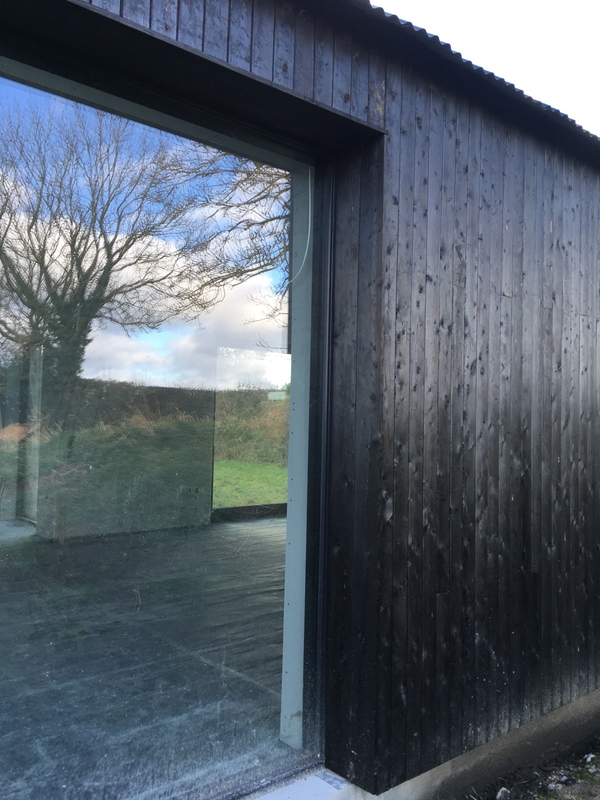 The palette of materials has been pared back to blackened larch cladding, black timber-framed glazing and sinusoidal black metal roofing to the exterior, and polished Roadstone screed and painted white walls internally. The insertion of a yellow front door will surely please any Kilkenny fan. 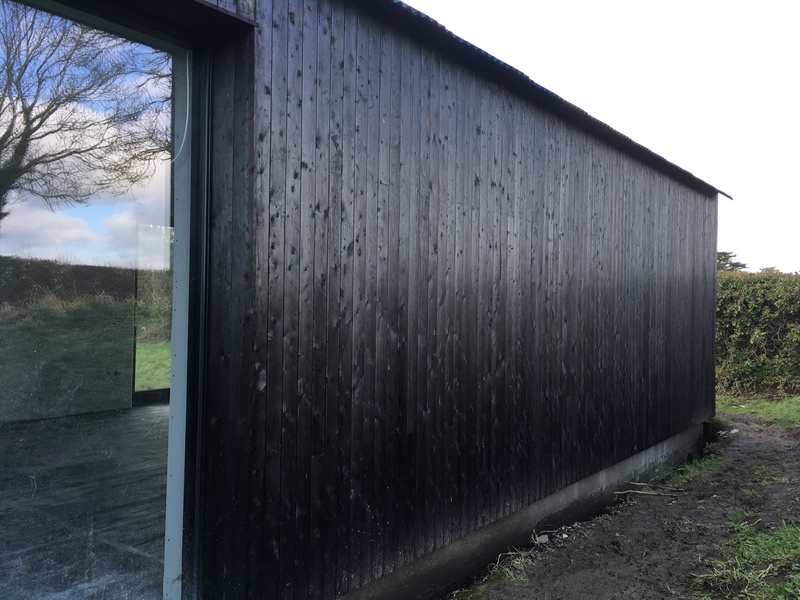 The blackened larch external cladding uses a traditional Japanese method of charring called Shou Sugi Ban. 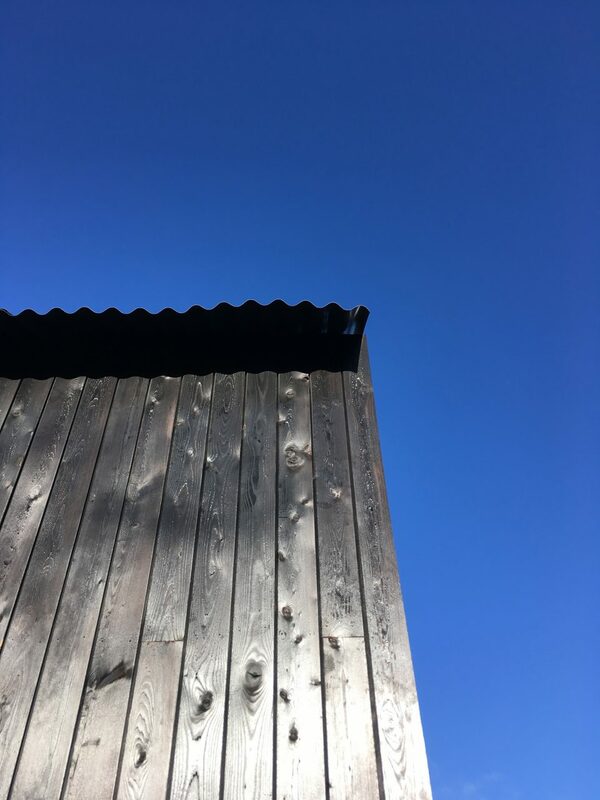 This method was typically used to improve fire resistance, insect resistance and generally the longevity of timber used externally in Japan. It is timber’s natural way of self preservation to survive forest fires. 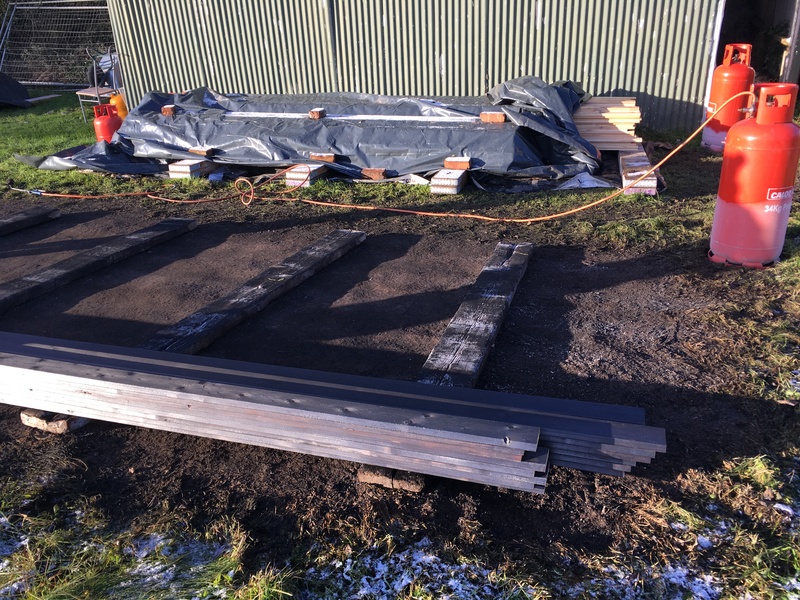 Larch boards were hand torched on site. We are so looking forward to showing you the end result of what is a very special project. The yellow front door announces the entry point to the north facade. 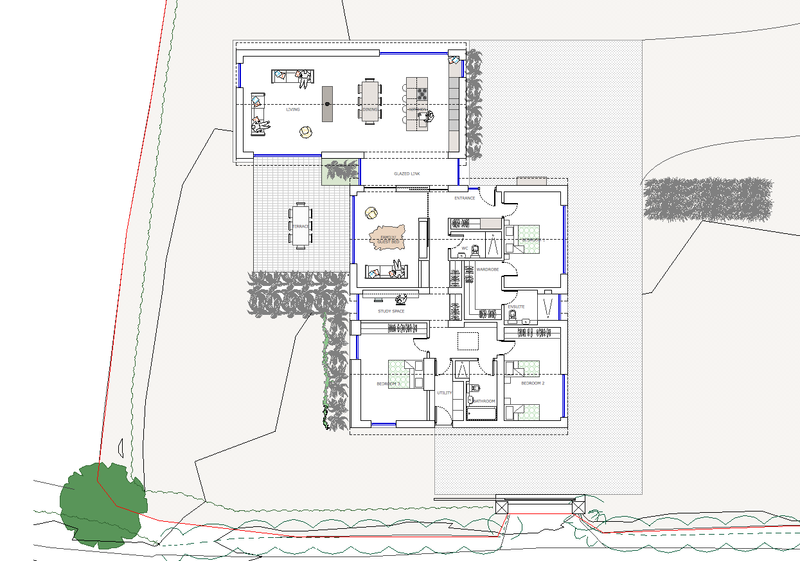 The main living space avails of courtyard, hedgerow and meadow views.